Note that NI did acknowledge N2IT’s claims as valid. That would seem to set some precedent for future legal action by N2IT unless were to M-Audio win a countersuit against N2IT, which apparently has not happened. It is interesting to hear djtechtools readers defending the N2IT patent. That may well have merit, but the basic technique of using an audio signal for control is something fundamental that well predates any notion of digital vinyl. Technics 1200 Series: Discontinued (or not)? Updated to reflect conflicting reports. As digital vinyl presses on, reports are circulating in press and online communities that the the great emblem of the vinyl era is no more. Parent company Panasonic is reportedly discontinuing all remaining Technics 1200-series turntables (including the 1210). Updated: Sources for statements from Panasonic appear to be unconfirmed and/or conflicting. inthemix is where I had read this story; some CDM readers are describing these as unsubstantiated rumors. It’s certainly possible that this isn’t the common “wild Internet rumors” phenomenon, but the equally common “large global company representatives aren’t on the same page” phenomenon. The inthemix story, however, should be regarded as incorrect. As reported in the Australian cnet, the Panasonic Australia source has denied saying quotes attributed to him. There’s perhaps a more interesting (if not at all surprising) story here, which is that analog turntable demand is sagging — but apparently that will not result in the immediate end to 1200 sales. 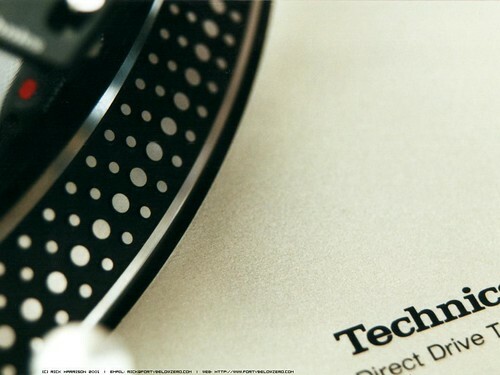 Scratchworx tracks various, conflicting statements from different parts of Panasonic. There hasn’t been a formal press release, but then companies usually send press releases when they’re introducing products, not when they’re discontinuing them, so I wouldn’t read too much into that. One possible explanation could be that circulating rumors about the demise of the 1200 may have increased demand. It isn’t hard to imagine Panasonic responding to their reseller channel if lots of vinyl-heads began demanding turntables. It’s also possible the rumors were incorrect. It’s easy for such a rumor to start, as vendors often don’t instruct resellers (or sometimes even their own global arms) about the status of products. I’ve often had conversations with press representatives of major music tech makers who weren’t entirely sure of the status of a particular product. And with store inventories low during a credit crunch, it would be easy enough for low stock to be misinterpreted as a discontinued product. Scratchworx also notes that supposedly officially-discontinued models have remained in the channel. Let me be absolutely clear: I think that vinyl deserves occasional attention from CDM, but I’m not a vinyl expert, and for that I rely on Scratchworx in particular. If the Technics were discontinued — or, realistically, hen that day finally comes — what might it mean? “It’s the end of an era” is the general response of the DJ community, but vinyl isn’t really going anywhere. The 1200 will always be remembered as the iconic scratch turntable, and there’s no question these ultra-reliable devices will continue to flourish, played and repaired by loyal DJs. (In fact, the quality of the gear may be partly to blame, in contrast to the planned obsolescence of a lot of newer equipment.) The 1200’s heydey, meanwhile, is long-since past. I personally think that’s healthy. The golden age of scratch came about only because artists were irreverent and experimental, misusing and abusing equipment in a way that transformed music. It was not a musical movement born of pure nostalgia, and without a certain experimental drive, we’d be robbed of new experiments in the future. Today, abusing circuits and code have supplanted vinyl, a fitting medium for noisemaking, and one likely to last many more years. The Technics will survive, too. 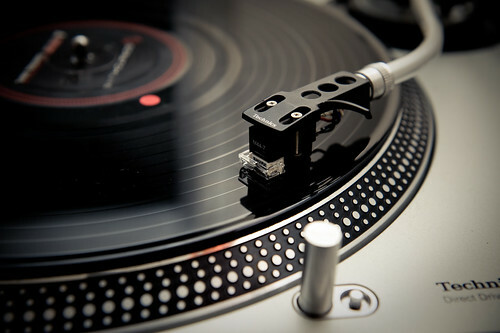 The really sad thing that our gear today is unlikely to last nearly as long as the Technics 1200.